kc bob: What ever happened to the (not George) Foreman? Management purists believe that if you have the best leadership skills, you don’t need to understand the details of what your team does. Others think that if a manager doesn’t get in there and dig ditches with the rest of the team, then he or she couldn’t possibly understand how to represent that team to upper management. The author goes on to say that she believes "leadership" to be a skill of its own but acknowledges that "the ideal person would have both leadership skills and intimate knowledge of the team’s duties." I resonate with her thinking to a point. 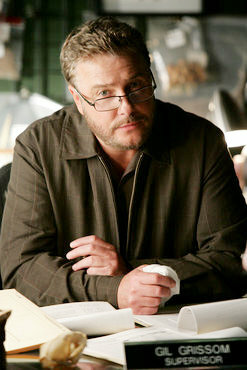 Consider the case of Gil Grissom, one-time foreman/leader of the Crime Scene Investigation team in Las Vegas. The guy had no people skills, was a bit of a recluse and preferred interacting with insects instead of people. Yet the guy was a great leader because he led the team to succeed because he was a great criminologist.. yeah.. I think that is what he was. Also consider the case of Dr Gregory House, current foreman/leader of the diagnostic team at Plainsboro Hospital in New Jersey. He also possesses few people skills and people basically listen to him because he is in charge. Oh, and they also listen to him because he is the smartest doc in the group.. even though he is a jerk. Now I am not saying that these folks are always the most pleasant to work for. Only saying that these might be the types of folks that get overlooked by upper managers because they do no possess desired leadership skills.. and they also might be very smart jerks. Leadership types and skills are both elusive and subjective. I think some of it boils down to the two types of personalities involved - people persons or those who are task oriented. I have worked for both. I also think the "Peter" principle is valid in some cases. When I was in the car business I watched as excellent salesmen were promoted to manager and became bad sales mangers. The job was above their abilities. Another factor enters the fray also, today's workers are less likely to be tolerant of a task oriented leader. I was on a job where the manager was totally task oriented. Get the job done, worry about "feelings" later. When a co-worker on a new crew registered a complaint, after an old crew walked out on this manager, the company fired the long time manager. I think, in my humble opinion a good leader must have both head and hand knowledge/experience, leadership skills, and the ability to motivate. The hardest, most demanding, and sometimes void of any people skills manager I ever worked for I would walk through fire for, he motivated, fought for, and rewarded hard work.